Children absorb what they are surrounded by. Is your home set up in a way that encourages learning? What kinds of books, magazines, movies, and games are available to your child? Are they at appropriate heights for your child to reach? Can your child see artwork at her eye level? Do most of her toys allow her to build, discover, create, and innovate? If you provide the right tools and atmosphere, your child will respond. Studies show that children who are read to from a very young age develop a lifelong love for reading. And a child who loves to read is a child who will always be learning. Create regular reading times with your child, such as at bedtime, or consider setting aside one evening a week for "family reading hour" when everyone gathers in the same room and reads aloud together. The old adage is true: Actions speak louder than words. Are you a person who enjoys learning? Does your child see you reading books, trying new things, and engaging in intellectually stimulating conversation? When you don't know the answer to something, do you show your child how you're going to find the answer? If you're committed to being a lifelong learner yourself, it will not go unnoticed. Everyday life affords us many opportunities to help our children discover new things. When you cook together, your kids can learn math and basic chemistry concepts by measuring ingredients and watching them change. When outside for a walk, you can point out the changing seasons, the kind of trees or flowers you see, the formation of clouds in the sky. When you encounter a homeless person on the street, buy that person a cup of coffee, and afterwards, talk to your child about the needs of our brothers and sisters in the world. Every day, there are endless ways to engage our children’s minds, bodies, and spirits. Children (like adults) have different interests and abilities. And at various developmental stages, they may be drawn to particular ideas and activities. If your child shows an interest in something—rocks, music, airplanes, singing, knights, animals, whatever it may be—foster it. Help them dig deeper into the subject through books, activities, games, internet research, and creative projects. Formal education is only part of learning. A good deal of what we absorb and remember comes from life experience, everyday interactions, and conversations. Help your child understand that learning is about much more than homework and long days at school. It’s about being curious, asking questions, pursuing truth, following passions, and discovering the beauty and richness this world has to offer. No matter what educational path you choose for your child, if you help to foster a love of learning in your child, the flame will never burn out. Effective prayer opens us to the experience of God’s unconditional love and the acceptance of his incomprehensible ways. It gradually helps us to be attentive and responsive to the needs of others, especially the poor. Effective Prayer: On the human level, our attempts to communicate with each other can be effective or ineffective. They may be ineffective because deep down (perhaps unconsciously) either one or both of the parties may not want to communicate. Sometimes the problem is that, despite the presence of good will, very little intimacy is experienced because of a lack of basic communication skills. Some people have poorly developed listening skills; others are unable to confront in a mature way and reconcile differences in a reasonable way. On the other hand, when two people want very much to communicate with each other and have developed some basic communication skills, there is every chance that they will experience a good degree of understanding, trust, acceptance, and intimacy. Now, just as there is effective and ineffective human communication, there is effective and ineffective divine-human communication. Some people, for example, pray (or rather “say prayers”) all their lives and still do not make contact with God. Their prayer does not seem to affect their lives or the way they communicate with other people. They are often harsh and critical of self and others, have little or no social conscience, and are fearful and anxious about the future. Obviously the prayer or communication of such people is ineffective and leaves much to be desired, both with God and with others. If these growth patterns are not developing in our lives, then maybe we should re-evaluate our way of praying. 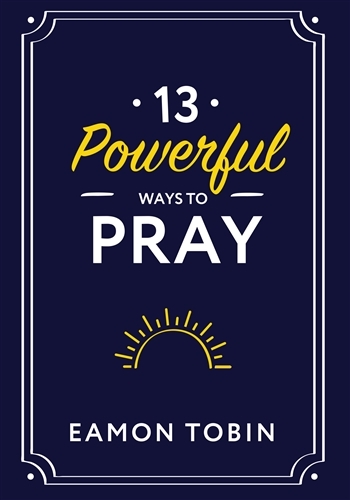 Of course, the benefits of effective prayer will not happen overnight. In fact, there will be periods of time when we wonder if anything positive is happening in our prayer life. But over the long haul, we can expect to grow closer to God and others if our prayer is honest and genuine. Keys to Effective Prayer: The word "keys" does not imply that if we do certain things (press certain keys), we will automatically experience intimacy with God. Such belief would be seriously mistaken and blind us to the fact that, in the spiritual life, all is gift and union with God cannot be earned. The use of the word keys refers to some basic truths that we need to pay attention to so that we become receptive soil for God’s transforming work in us. The phrase receptive soil reminds us that prayer and its goal, our transformation in Christ (see Galatians 4:19), are pure gift. All we can do is pray for this gift and do what we can to create the conditions that will make us good soil for God’s transforming work. William Shannon, in Seeking the Face of God, writes: “It is true to say we don’t pray, but rather we let it happen in us. The best we can do is to prepare and dispose ourselves to let it happen.’’ The following four chapters will examine the four keys needed to help us prepare for an effective relationship with God. Happy Lent! On behalf of everyone here at Dynamic Catholic, I hope you’re having your best Lent ever. You may have heard or seen our Lenten motto, “Don’t Give Up Chocolate for Lent.” There is nothing wrong with sacrifice and giving things up, but it is a matter of giving up the right things. When Jesus began his ministry by saying “Repent,” I don’t think he meant, “Quit eating chocolate.” You can really grow much greater by doing something much greater. What should we embrace? May I suggest we embrace Jesus in the Sacrament of Reconciliation. By embracing Jesus as we are forgiven, we embrace everyone whom we have wronged. What should we create? Let me suggest we create a new life in God by viewing Dynamic Catholic’s Best Lent Ever videos each day during Lent. Our lives change when our habits change, and the 40 days of Lent are the perfect time to create a new you. The videos will help you do that. Using a Mass Journal is also a powerful way to create a new you. Take it with you to Sunday Mass and write down the one thing you sense God is saying to you—the one way God is challenging you to become a-better-version-of-yourself that week. And whom should we include? Just ask: Whom have I excluded—from my family, my church, my neighborhood, my country? What petty walls of jealousies or prejudices have I built to exclude others? Whom can I include among my friends, my parish, my neighborhood, or my country? Let’s work on these things and have our best Lent ever. I have gone through a period of transformation in the last two and a half years. An evangelization program at my parish, St. Helen, has had a major impact, as well as our parish mission statement, “Worship God, serve others, make disciples." Hearing Matthew Kelly speak in May 2015 and reading his books Rediscover Catholicism and The Four Signs of a Dynamic Catholic have reinvigorated my prayer life and shown me some of the keys to living a good Christian life. The four signs Matthew talks about (prayer, study, generosity, and evangelization) are four things I’m trying to do each day. I have also found monthly confession to be refreshing for my soul. I feel at home in God's house and my parish. At St. Helen's, we are blessed with shepherds who are leading us on the right path to salvation through our simple yet powerful parish mission. Each day is an opportunity to learn, and grow, and be with the Lord. I want to be an intentional disciple and help carry out our mission. Some days are better than others, but God always meets us where we are. Journeying with the Lord is so much more fruitful than it is without him. I realized how much I needed him when I started praying every day. Patience, kindness, and compassion are some of the characteristics I have found in myself as I have put Christ more in the center of my life. In this last year, I have seen further transformation as I have incorporated more spiritual practices into my life. Not working this past summer provided me the opportunity to read more books and learn more about our faith. I am currently in the process of reading five books. I wish I had realized at a younger age the importance of reading and its effect on the mind. Our minds need nourishing. If I don't feed my mind with good ideas, then it wanders and deteriorates. 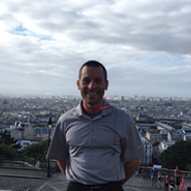 I had the privilege of going on a Dynamic Catholic pilgrimage to Paris this past summer. I still reflect on how refreshing it was for my faith journey. At the beginning of the trip, we were asked: Are you a pilgrim or a tourist? It really made me think and value the time in the group and the time I had by myself to explore Paris. Daily Mass in different churches was the perfect way to start the days. Overall, I really felt myself becoming more of a pilgrim each day. Matthew Kelly and Dr. Allen Hunt spoke to us every evening, challenging us to become the-best-version-of-ourselves each day. Matthew has a powerful saying: "Our lives change when our habits change.” I fully believe that to be true. God wants us to be happy and to experience joy. We have God-sized holes in our heart. And much of my life, I tried to fill my hole with vices and good and bad habits, thinking they would satisfy me. They did not. I may have experienced short-term pleasure from these things, but they did not leave me with a lasting happiness. They left me longing, searching, waiting, and at times, just unhappy. Things come and go, but God's love, and care, and concern for me never go away. It has taken me much of my life to figure that out, but I feel like my faith journey is going down the right path. There are times when I slip and fall, but I know God is there to pick me up, forgive me, and encourage me to get back on the straight and sometimes narrow path of obedience and holiness. I have incorporated three new habits into my daily prayer life. Since I saw Matthew Kelly in September, I have started to read the Gospels every day (10–15 minutes per day). He calls that a game changer for believers. I have missed a few days, but it is a spiritual discipline that I look forward to most days. I have also started to say a decade of the rosary when I wake up and another decade before I go to sleep as a way to begin and end the day with a devotion to Mary. Finally, I have started using a Mass Journal—another Matthew Kelly game changer for Catholics—to take home how God is speaking to me in each Mass. The mission and vision in our parish community (guided by the strong presence of our pastor, Fr. Michael Saporito), Matthew Kelly's books and CDs, meeting Matthew in person, and the evangelization program at St. Helen’s have all opened my eyes to my need for a personal relationship with Jesus Christ, my Savior and Redeemer. I truly believe that. I am the same person who still enjoys to talk sports, officiate college basketball, exercise and stay fit, and eat right . . . but I also have my life centered on Christ. He is my anchor. All of the blessings in my life come from him. I praise him and glorify him each day for his countless blessings on his meek, humble, and truly unworthy servant. I look forward to whatever time I have left here on earth, working toward and living the message of the Gospel: Worship God, serve others, make disciples. I'm still a major work in progress. I sin every day. But I believe God is walking with me every step. I continue to open myself to receive his Spirit and put him at the center of my life, letting the Spirit guide me to where he wants me to go with my life. God's word truly does have the power to transform our lives. Lord, take what you want to take, give what you want to give. All I have is yours. Amen.